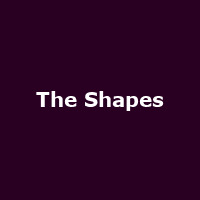 The original Shapes return!! Formed in Leamington by Ben Browton (Seymour Bybuss) and Gareth Holder (AKA Brian Helicopter) in 1977, plus Tim Jee, Dave Gee and Steve Richards. Their "Part of the Furniture" EP and "Airline Disaster" single became John Peel punk pop classics. After a spell on Terri Hooley's Good Vibrations record label they split, reformed in 2008 and now they're back again.